Assisting you to be part of this incredible growth, we are now offering two methods of advertising your company's LOGO, Products and Services on our website. YCA Marine Services Directory FREE! 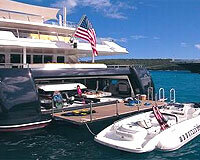 The YCA Marine Services Directory provides you with great exposure to the International Yachting Community. Your ads will be posted on our directory where it can be accessed easily by our directory search tools. Your ads will be linked directly to your website or email address. Display ads can be of any size and are placed on the right hand side bars of almost any YCA webpage. In addition your Company's Banner can be placed at the bottom of almost any YCA webpage. You ads will be linked directly to your website, or email address.